Unlike in past years, Illustration has changed its niche from only children to all ages. It has eliminated the bars for good course of a presentation. If the business doesn’t exude solemnity, Illustration is the perfect option for them to show the customers that products & services can fulfill their needs. It gives users an entertaining and eye-catching experience. The companies offering a wide spectrum of products and services insists on split screens. It works in accord with brands to showcase a variety of services they provide. This modular grid design is exclusively designed to enhance the presentation and multiple user pathways on the home screens. By offering more options and contents together at initial level screen helps users to clearly identify their needs. The Navigation system provides an interesting and memorable experience to the customers. It is considered as more versatile and user-friendly approach. As the user scrolls down the page, the important headers get shifted up to the top of the screen. This type of presentation ensures that user never gets confused and always be able to find any piece of information very smoothly. This is the most fast growing trend and helped a lot in Branding. 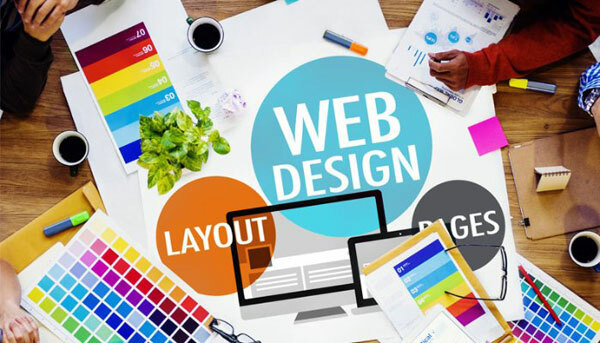 Allowing a social media button on to your web design layout opens a door to engage more traffic and helps you bridge the gap between your Brand and users on the personal levels. Offering fresh content on your website frequently convinces social media integration to allow users share the contents, which they find interesting. The more genuine you make it for customers in terms of connectivity with various communities, more likely you win the race! Customers from all over the industrial sector enjoy visuals such as videos, multimedia images. No doubt, written content is valuable but eventually requires a customer to absorb the numerous copies and hence might be overlooked. With the multimedia elements, clients may learn about the Brand the products in an effortless manner. It allows engaging the audience at deeper levels for sharing of information and hence better interaction. Stay in touch with our upcoming Interacting and factual Articles related to web hosting and web development for you!